It’s too hot to go outside. Use these refreshing Steam Summer Sale deals to make the most of your time with your PC and air conditioner. 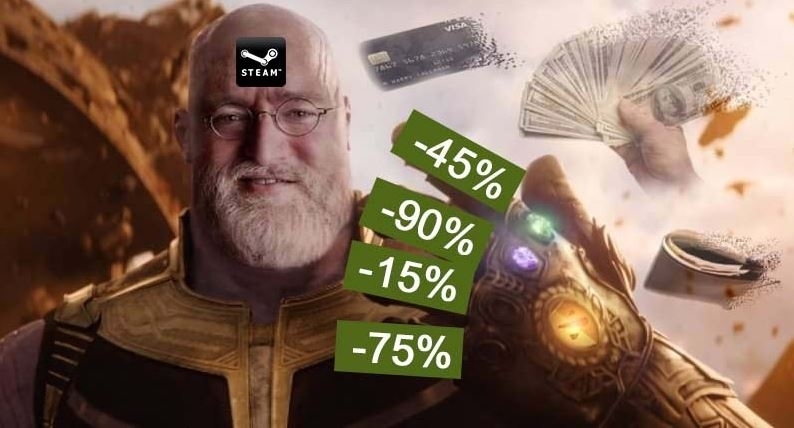 The Steam Summer Sale arrives every year like clockwork and brings big discounts to just about every title on Valve’s storefront. Unfortunately, that means that 50 million games are on sale, but most of them aren’t worth your time. Lucky for you, the team at Shacknews has your back and has scoured the sale for the standout deals. If you just made a Steam account for the first time today or you are seasoned Steam veteran, there’s some nice deals to be had. Let’s dive in. Unlike Steam Sales in the past, all games are on sale at their full discount until the sale ends on July 5. While the games featured on the front page will rotate every day, the prices are already as good as they’re going to get, so feel free to abuse your wallet. "Unlike Steam Sales in the past, all games are on sale at their full discount until the sale ends on July 5. While the games featured on the front page will rotate every day, the prices are already as good as they’re going to get, so feel free to abuse your wallet." Ya, this is more of a nostalgia comment. I'm pretty sure they studied the numbers for a good while before making the switch.